Zeke Hersh has been guiding in Colorado for more than two decades. 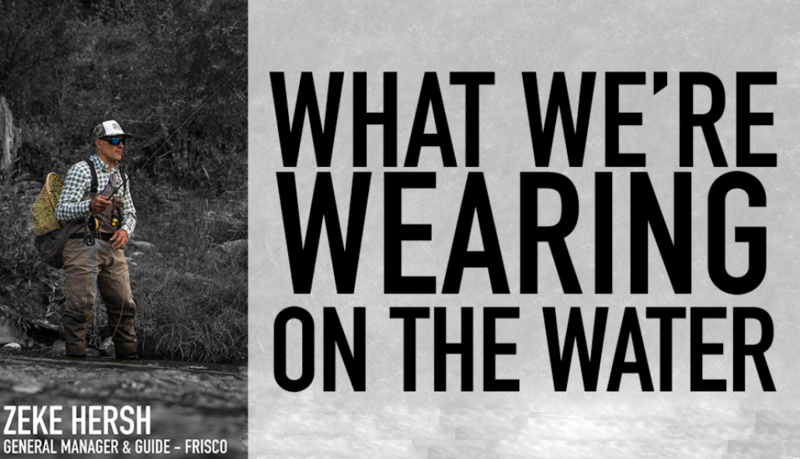 He lives on the water and depends on quality gear to get through his days on the river. Check out what gear he leans on when he's on the water. The redesigned Ross Gunnison is a workhorse of fly reel. An iconic, reliable and durable performer, the Gunnison makes Zeke's day on the water that much easier. Zeke keeps tippet, floatant, nippers and the like at the ready and easily accessible with his lanyard. As our old friend Dave Lovell used to say, full transparency, Zeke is still rocking the older Simms G3s and that's a testament to the quality of wader that SIMMS produces. The new SIMMS G3 Stockingfoot waders are more durable, puncture-resistant, and breathable than the one's Zeke's wearing. So, that's nice. 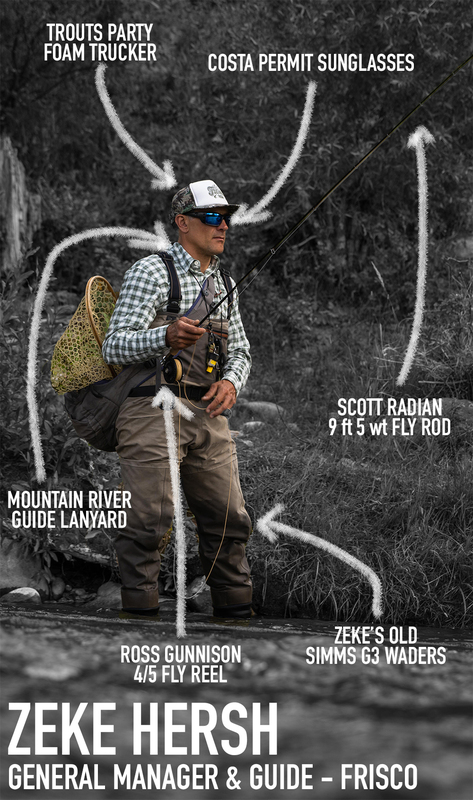 The Scott Radian is a high-performing, fast-action rod that is in many ways, the quintessential Colorado fly rod. Made in Montrose, Colorado, the Radian is a fast-action rod with feel, power and accuracy that handles everything you throw at it. It's no secret, a good pair of sunglasses goes a long way. Zeke goes 580G for the extra clarity on the water. Who doesn't like to party in Foam Trucker Hats?